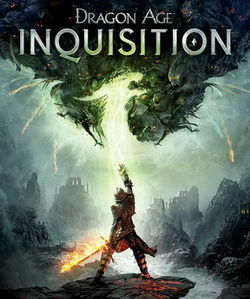 Dragon Age: Inquisition is the third game in BioWare's Dragon Age series of role-playing video games and was released on November 18, 2014 in North America, November 20, 2014 in Australia, November 21, 2014 in Europe, and November 27, 2014 in Japan. This time, the main character's race can once again be selected, along with their appearance, gender, class and first name. The continent of Thedas is plunged into chaos when a peace conference between the mages and the templars goes up in a massive explosion, which opens a gigantic Breach in the sky through which demons from the Fade emerge and invade. The only hope seems to lie in a mysterious individual who is found at the site of the explosion, who possesses a strange mark on their hand that gives them the power to close the Rifts created by the Breach and may be the key to closing the Breach itself. With this individual in tow, Seeker Cassandra Pentaghast and Leliana form the Inquisition, an organization dedicated to closing the Breach, defending against the Fade demons, and bringing order back to Thedas. This page was last edited on 10 July 2016, at 03:05.